Major General Robert Clive was a British officer, who established political and military supremacy of the East India Company in West Bengal. After establishing full control on the area, Clive began collecting data about the countryside to generate a map of the Indian Territory. 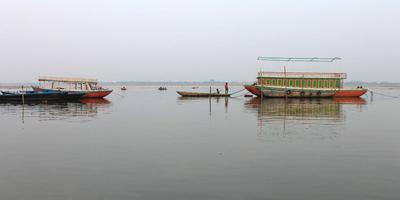 The major feature of his map was the mighty river Ganga. 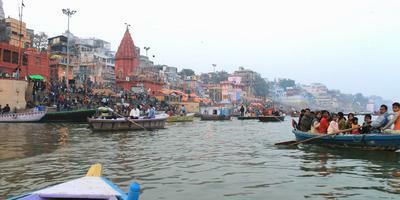 To the Hindus, the Ganga may be a soul purifier, a deity, mother and everything. To an astute military man and a warrior, Clive, Ganga had lots of meaning. Firstly it was a major means of waterways communication. 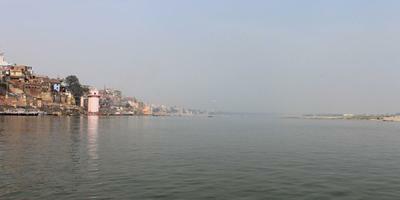 All the major towns of North India of those days (1760) were situated on the banks of the Ganga. Clive had designs on them. It is believed that the deity Ganga was residing in the ‘Kamandal’ of the Lord Brahma and it descended on the Earth after a determined penance by the King Bhagirth. He prayed for the descent of the Ganga, because then only the cursed souls of the ancestors of Bhagirath could be purged. As the story goes, Ganga began descending but it was such a turbulent river, that it was anticipated that if it hits the ground directly, it might cause destruction. Hence Lord Shiva was requested to catch it in his thick and long tresses to act as a shock absorber. In the ancient time the science had not evolved. But still people were aware that water, if it hits the ground with force can cause great damage and destruction. 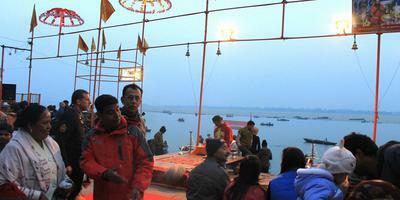 The day, the mighty Ganga descended on our Earth, is still celebrated as Ganga Dushera. An astrological calculation shows that Ganga Dushera fell on 9th June, 1745, a couple of months after Lord Clive landed in Calcutta. Ganga Dushera is the day when hundreds of thousands of people take bath in the Ganga, as the day is considered auspices because Ganga descended from the heavens to purge the cursed souls of Raja Bhagiratha’s ancestors. 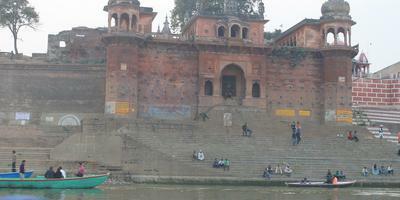 Therefore devout Hindus are of the firm belief that taking a dip in the Ganga purifies the souls. For most of us a river is just a conduit of water. No doubt it is a natural water way, which flows down the slope and carves a landscape in its wake. 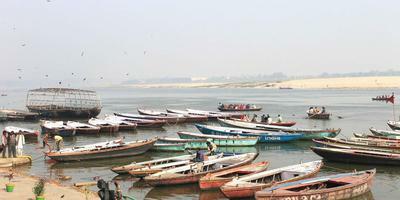 The Ganga has been doing so since it came in to existence. While planning for any civil constructions along or across the Ganga, we must bear in mind that the river is not as serene as it appears to be and also that is flowing due to simple laws of physics. Meaning thereby that the river hydraulics is significant for the survival of the river and a river would not have been there, if there was no water in it. Glaciers are large store houses of water and their melting does contribute to the flow of the rivers like Ganga. But the surface runoffs along the length of the river and groundwater are no less significant in keeping a river alive. 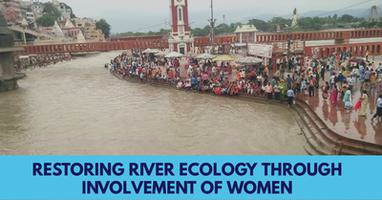 During monsoon the river discharge gets enhanced at times by more than 100%. The river has a nasty habit of eroding its bank on the convex side and depositing sediments on the concave side. This creates variability in the river channel. It is the flow dynamics which adds to the woes of the river and also of the habitats along the river. A river might appear to flow along a particular channel for years together, but after a particular monsoon it might decide to shift course. Kosi, in Bihar for example, in 2008 decided to go back to its course which it was following 120 years ago. A century itself is a long time for human memory to retain and people who had settled between the old course and the new course (Before 2008 flood) for more than two generations found themselves in a quandary, because the river decided to maroon them and uproot them for no fault of theirs. Similarly, Ganga in the lower Ganga plains of West Bengal has been shifting its channel since ages, says Prof. Rajiv Sinha of the IIT Kanpur. Quoting Rennell (1788) he says, ‘Gour the ancient capital of Bengal stood on the old bank of Ganges; although its ruins are 4 to 5 miles from the present bank.’ Further quoting the famous historian Prof R.K. Mukherjee (1938) he states, ‘Leaving the hills of Rajmahal, Ganges seemed to have passed northwards through the modern Kalindri and then southwards in the lower course of Mahananda, east of the ruins of Gour.’ Ganga in this region was also affected by the 1515 AD earthquake, believed one Major Hirst (1916). 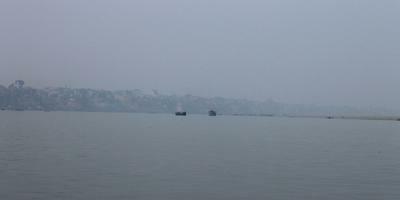 The fact is the Ganga that Lord Clive must have seen during his reign and journeys in Bengal are not the same now. In the lower Ganga valley the river is heavily loaded with sediments brought from the Himalayas and also due to bank erosion downstream of Farakka. Construction of the barrage and the indiscriminate laying of the roads and rail lines along the Ganga have added to the woes. A river overloaded with sediment and not given a chance to flow freely can create havoc in the region. Already there are land disputes as the river in that part of West Bengal is also the international boundary between India and the Bangladesh. While dealing with the nature of the Ganga Channel in the lower Ganga plains, Prof. Sinha describes an interesting fact. He says that between 1776 and 1916 the channel of Ganga shifted westward for almost ten kilometers. This brought the villages like Bakhrabad and Jagnnathpur located far from the right bank of the river in 1776 were found situated on the left bank. Again between 1916 and 1955 there was no major shift in the river channel. 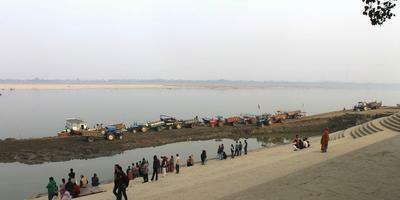 But due to the construction of Farakka barrage, between 1955 and 1971 the river has splayed into several channels. Now the above mentioned two villages are located on channel-islands and some new villages that came up on the left bank were engulfed by the river and they just vanished. In a fast developing country like ours it is vital that long term solutions are worked out incorporating geomorphic settings, river hydrology and flood zone mapping of the river before further developmental activities along the major rivers like Ganga.